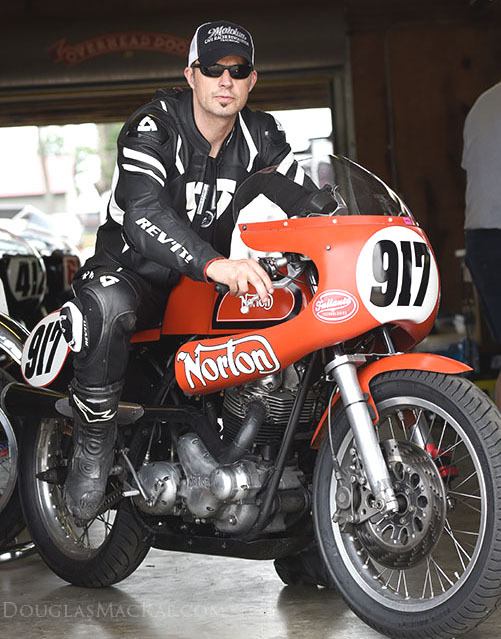 The Ultimate Norton street motor starts with the light weight pistons and rods. Take any motor with stock type pistons/rods and substitute lightweight pistons/ longer rods and you will experience an immediate improvement in performance – every time. Herb Beckers 750 short stroke showed 80 HP at 8700 RPM (photo below of JS longer rods, lightweight domed pistons, beehive springs). Once you get into the higher HP figures the problem is keeping the motor together and the lightweight pistons become a necessity because heavier pistons can break your crank and destroy everything. Shoot for 9:1 C.R. on the street. More than that will require higher octane fuel than is available at service stations. 10:1 C.R. can work in cold weather and with hot cams having more overlap, but detonation can still be a problem. In hot weather locations you’ll want to stay close to stock compression ratios. Race bikes need higher compression of around 11:1 or so. Higher than 12:1 will risk overheating and failure. Dome pistons are necessary for 750s. Bigger displacements of 850cc and up only need high compression flat top pistons. Alloy cylinders weigh less and offer improved cooling. 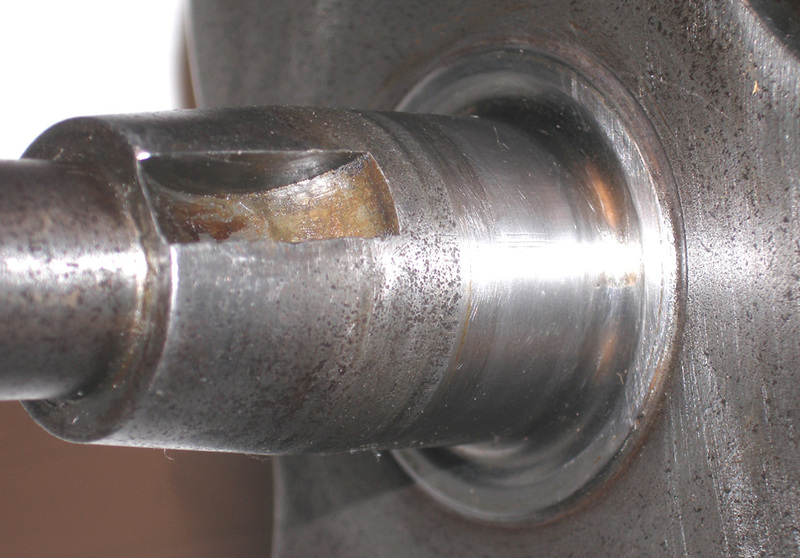 Stock cases and cranks work fine on the street and will be reliable when using lightweight pistons but you should radius the PTO shaft to .090″ (see photo) as described in the JSM race manual to avoid failure over time. Balance factors in the 65% range are the smoothest. All out race bikes will need heavy duty cases and cranks to stay together. Lighter cranks will give you more acceleration and quicker shifting. Heavy cranks work better in the dirt. All racing cranks must have a radius on the PTO shaft or they will break. If a crank is Nitrided (good ones are) then it must be re-nitrided if the journals are ground down or you will create a failure prone weak spot. Use our one way reed valve breather to pump out crank pressure and reduce leaks. Lightweight radiused lifters (BSA style) are the best way to go for efficiency and reliability. JS0 cams give the same low end grunt similar to stock cams but with a slight overall improvement. JS1 cams are hotter and give better all around high performance for the street. Wilder cams such as the JS2 & JS3 should be reserved for the track. Many excellent electronic ignitions are available today. Take your choice but be aware that many of them do not spark the 1st revolution – you have to kick it hard enough to spin the motor over twice to get it to spark. Keep it simple and reliable. Be aware that timing curves advancing beyond 30 degrees at high RPM are only meant for low compression motors with larger combustion chamber volumes. Higher compression motors with smaller more efficient combustion chambers need a maximum advance of 28 degrees or less to avoid detonation. Conical Beehive springs are the best option because of their light weight and high RPM capability. One advantage of the JS Beehive springs over other springs is that they are taller – requiring a higher retainer location. A longer spring gives you a more linear rate so that peak pressure is reduced while seat pressure stays high to reduce wear on the cam. 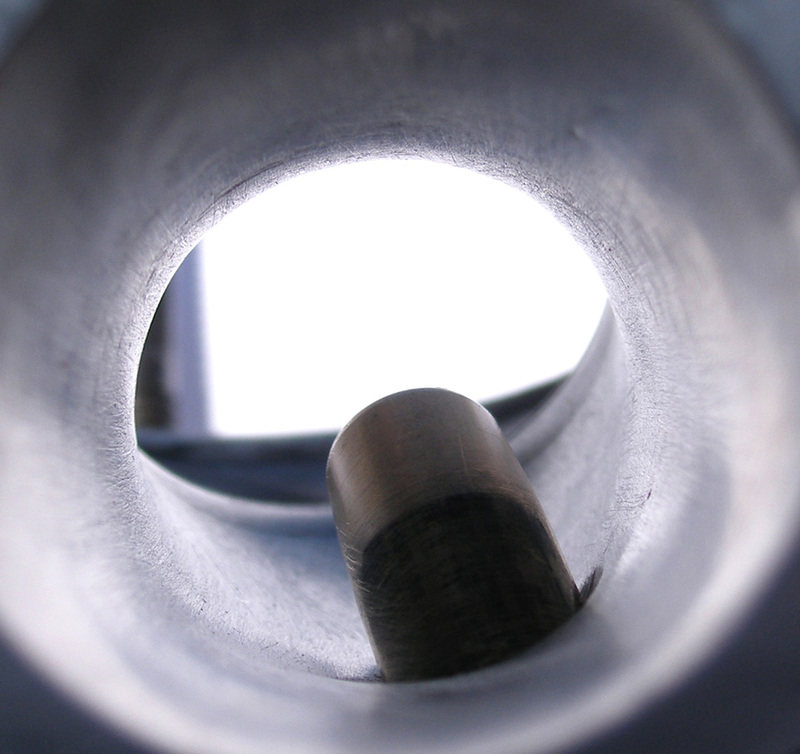 Shorter conical springs that fit stock valves have a greater peak pressure – resulting in higher wear on the cam lobes. The hard coating on black diamond valves provides a long lasting and wear resistant valve stem. Both aircraft aluminum and steel pushrods will give excellent service and not fail. To be the same weight – the alum pushrods will have thicker walls and the steel pushrods thinner walls. When steel pushrods are used with alum cylinders, the valve lash clearances will increase to the point that the cam quieting ramps won’t be as effective – resulting in increased wear. Tighter valve lash clearances insure smoother operation and reduced shock loads. 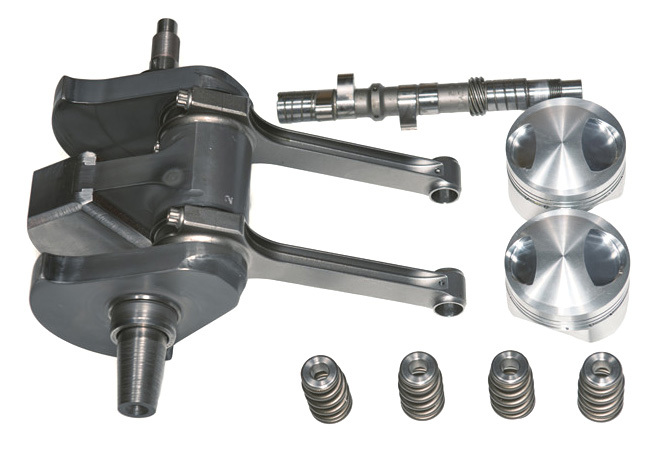 Alum pushrods can be set up with .004″ clearance with JS cams for quiet, gentle running. Do not expect ANY HP difference between alum or steel pushrods. 3/8″ OD x .058″ wall alum tubing weighs 32 grams per foot. 3/8″ OD x .035″ wall 4130 steel tubing weighs 59 grams per foot. Porting is what performance is all about. You want to stay small for the street and not go to far for the track. FA heads raise the port floor and increase the mid range for street bikes. 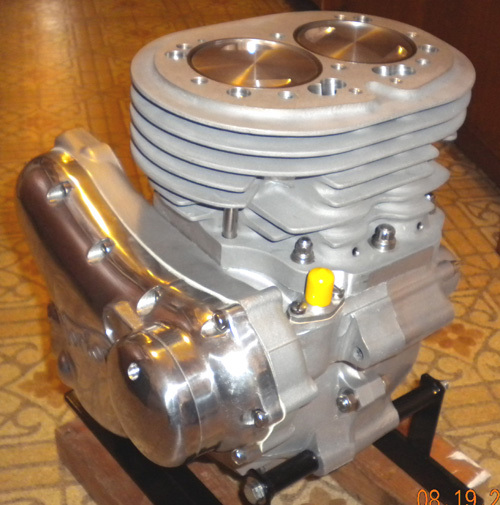 Ported heads with larger valves were successfully developed by C.R. Axtell. 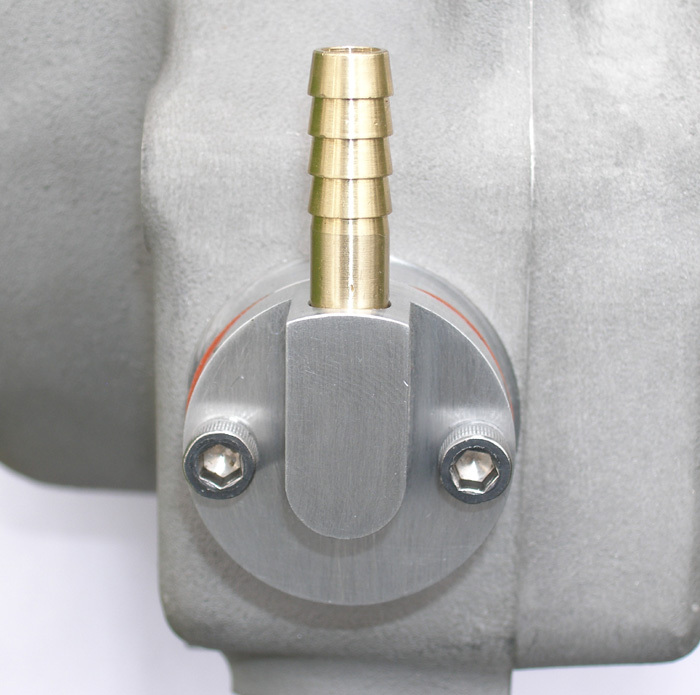 The highest performance two valve pushrod head ports are found in Nascars and HD XR 750s. Starting with small port Norton heads and raising/reshaping/widening the ports gives the best results. Priceless information, drawings and specs of Axtell ports and XR 750 ports adapted to Nortons are available in the JSM “Narley port” CD (more info). I prefer the stock Norton combustion chamber shape. Bathtub chamber heads may increase the midrange (OK for street) but can lose performance in the top end because of shrouding. With a stock combustion chamber there is just enough side clearance around the valve at high valve lift to provide free flow. In the photo below you can see two 3/8″ shafts. One shaft is between the seat and the valve. 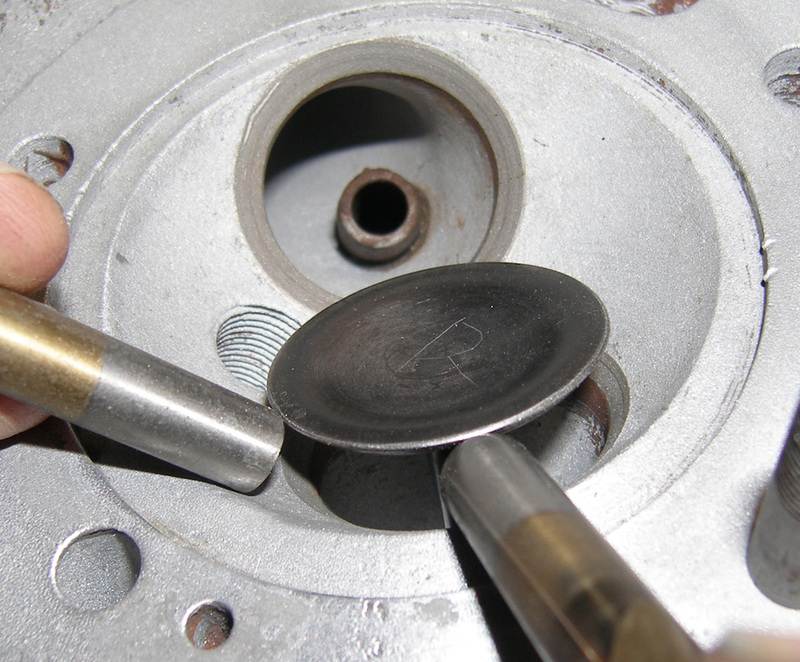 The shaft to the side is between the valve and a stock Norton combustion chamber. You can see that adding more material to form a bathtub shape would reduce the side clearance and shroud the valve – restricting the flow at high valve lift and reducing top end performance. Keihin, Mikuni, Dellorto are all good carbs but clearances can be a problem. 32mm is plenty for the street – maybe more for a street fighter. Race bikes can go up to 36mm for long stroke 750s and up to 38mm for big bores and screaming short strokes. One of the most important things for racing is to have enough intake track length. 13-1/2″ to 14″ from the valve to the end of the velocity stack is optimum. Most racers miss this and lose out on potential HP. 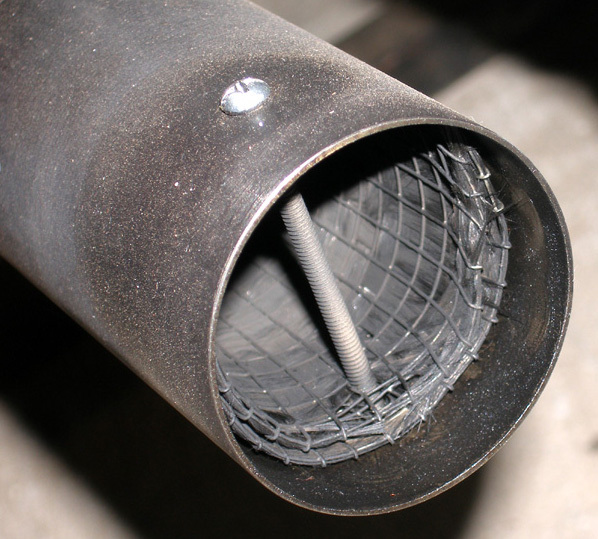 For street mufflers you want to avoid restriction and that means staying short with an inner diameter that is larger than your header pipe (photo below). Larger header pipes don’t seem to help on the street. 2 to 1 racing exhausts can give you more mid range but twin megaphones offer the ultimate in top end performance. Staying within noise regulations is a problem and you have to get creative with hardware cloth and fiberglass (woven roving is less likely to blow out). See the JSM race manual for proven racing exhaust header and megaphone specs. Ron Woods dirt tracker was one of the winningest. He used C.R. Axtell technology and pushed the envelope to achieve his goals. I was privileged to have worked with him for a short time in the 1980s. Note the long intakes, Dellorto carbs and free breathing megaphones. His big valve short stroke 750s were capable of 84 HP. One of the most exotic Nortons on the track today. 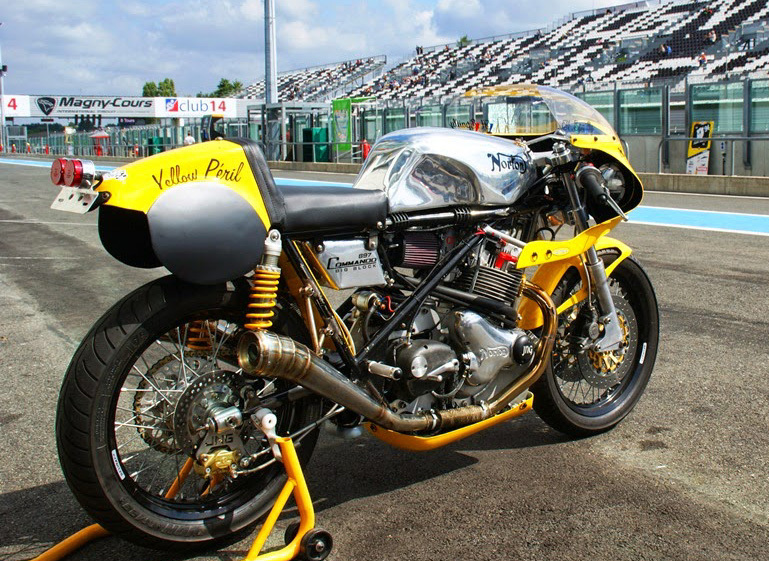 Endurance racer “Yellow Peril”. Using short lightweight pistons and longer rods of their own design along with a lightweight crank, one off head and on and on. 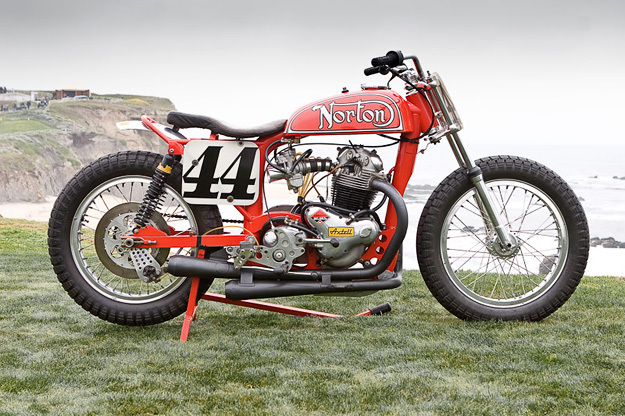 One of the fastest Nortons on the US road race circuit is tuned by Herb Becker and ridden by Doug MacRae. 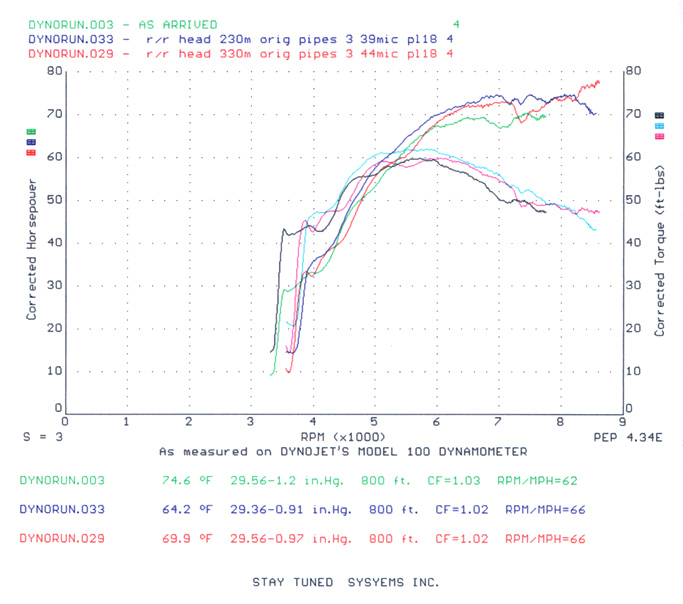 See their 78 HP dyno chart below. Herb Beckers 750 shortstroke dyno chart showing up to 78 HP at 8700 RPM with 44mm carbs. Blue line is 39mm carbs. Green line is an earlier test. Rider- Doug MacRae. JSM rods, domed pistons etc. 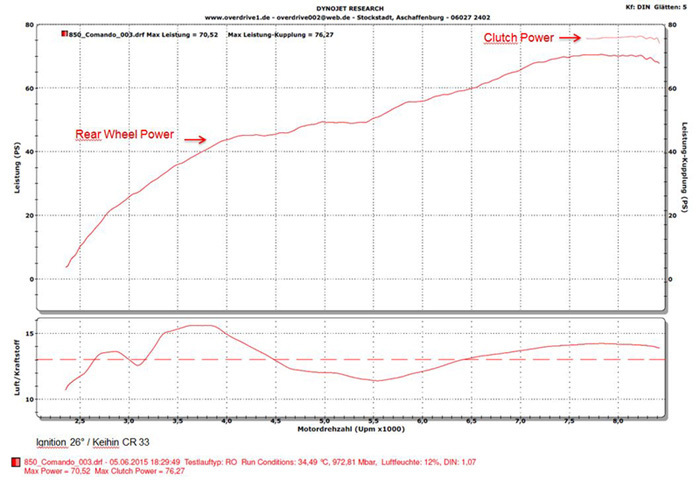 Mike Hamiltons 850 dyno chart showing 70+ HP to 7300RPM. 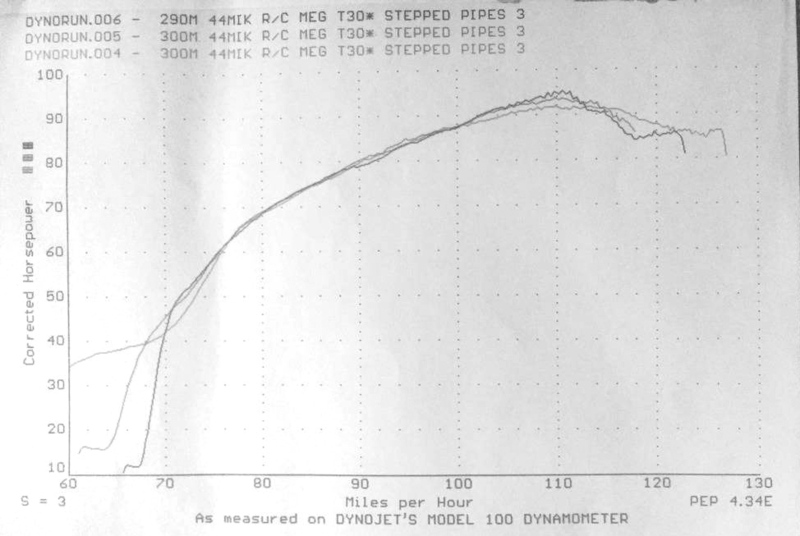 850 Dyno chart from Germany showing 71HP at 8400RPM with JS lightweight pistons, longer rods, Beehive springs, JS2 cam kit with lightweight BSA lifters. 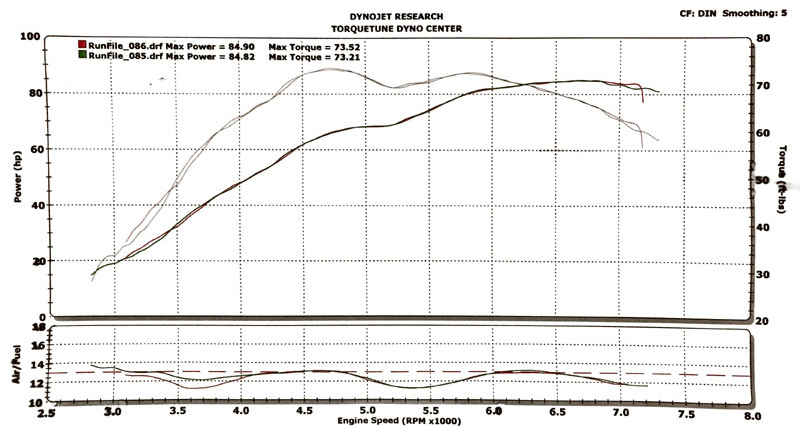 85 HP Dyno chart of Mike Hardings 920 roadracer at 7000RPM with JS lightweight pistons, longer rods, JS2 smooth ramp cam kit with lightweight BSA lifters. 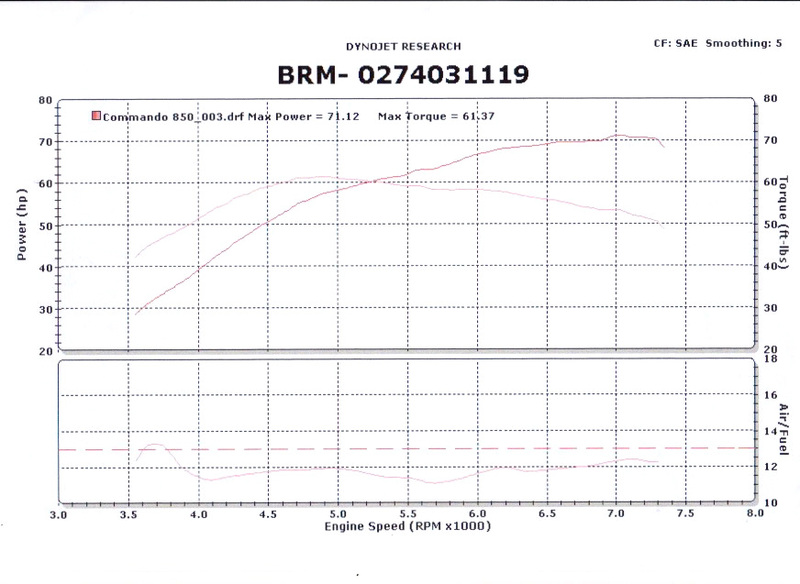 95HP Dyno chart of Andy Cox’s amazing 920 (built by Herb Becker) with JS lightweight pistons, and longer rods. Huge valves, monster cam, 44mm carbs. Achieved 149 mph with no streamlining.